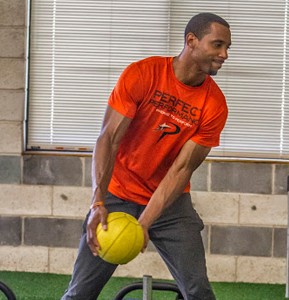 Professional: Elijah is an Anne Arundel County, Maryland native and was a 3-sport athlete at Meade Senior High School. While he concentrated on basketball, Elijah also played football and ran track. Elijah earned a football scholarship to Howard University where he set several MEAC records and ranked number one in the IAA in his senior year. He was considered a Consensus All-American, having earned every award available in IAA football. Among his most prestigious awards: Associated Press All-American, NCAA Academic All-American and Howard University Excellence Award Scholar-Athlete of the Year among others. Elijah signed his first professional contract with the Philadelphia Eagles. He went on to play with the Oakland Raiders where he was coached and inspired by NFL Hall of Famer, Fred Biletnikoff. As a Raider, Elijah played alongside Jerry Rice and Tim Brown. Elijah Thurmon took his talent to the Canadian Football League (CFL) where he continued to excel, making an immediate impact and earning recognition as a CFL All-Pro Wide Receiver, surpassing the 1,000-yard mark. Along with playing in the CFL, he was able to spend some time coaching WRs in the CFL. Elijah Thurmon was recently inducted into the Howard University Hall of Fame which is one of his greatest accomplishments. Elijah is a student of the game known for his sharp route running and creative footwork along with his physical prowess. His speed, size, hands and wide catching range were relied upon for consistency and his ability to change a game just like that. 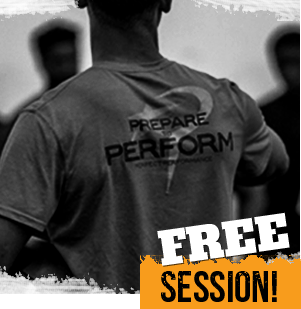 He specializes in human performance, developing and teaching elite speed mechanics and agility.